Am I doing something wrong here? I took the DATA.PACs from the AC5 and ACZ real discs directly, put the “convert_locations.exe” into the same folder as the .PAC, and run it. It only blinked and produced an empty folder. I caught a glimpse of “unable to access file”. For AC6, I haven’t tried to do it, but I’ve got the DATA00.PAC. Maybe I needed to copy the entire content of the discs? Got them extracted. Got myself a whole lot of locations. (70 locs for AC5 and 104 locs for ACZ). AC6 locations are pretty obvious since there are exactly 15 locations. Gonna try every one of it and name them (already figured out how). I’m not sure there were this many locations back in AC5 and ACZ, but I’ll find out. I was also surprised. Those are from arcade mode. There are more locations for AC6 (multiplayer? ), the tool only extracts mission ones. The others are stored slightly different. So which tool i have to use to extract AC6 dics? The locations work flawlessly for the most part. Still, they don’t look really good without corrections. I experienced crashes when loading certain maps. 044. The texture suggests that it’s Oured. 023, 024, 101, 102. The textures are all the same, Avalon. Maybe for Valley of Kings and Zero. 074. The texture suggests that it’s Route 171, mission Annex. I’ve figured out which maps are which, and found unused locations in ACZ that I think were used in the old trailers. Can you increase the spawning altitude? In all B7R maps and some other maps (I forgot to note which maps, but I remembered the mountains), you spawn directly in front of a mountain and you crash into it as soon as you begin free flight. It seems the location list can’t handle this many locations at once. The cursor fail to work properly after 54 items. I needed to work separately for the locations on each game. Also, can you make the cursor remember its last position after you quit free flight or any other mode? It gets tiring when you have to choose a place in the middle of the list but the cursor restarts in Miami. Or maybe add a fast scroll button? I’ll do it within a few days. Sorry for the delay, I’ve sold my monitor and unable to make win32 builds with macbook. Well, not as planned. The only working piece of hardware I’ll have till Jan 3th is my linux laptop. At least I’ll fix linux builds..
No, this tool is for locations. There will be tool for objects and planes in the next releases. question: Will the flare mechanic be implemented? I don’t think Ace Combat game need flares. Maybe as an optional feature later. That’s strange, map 014 isn’t Excalibur in my disc, and there’s no map 029 in my disc. Different version? The location loading is broken now, I’ll release new version (I hope) tomorrow (if the spare parts would be delivered). Different versions may be a thing. Updated. Fixed problems with location loading (no need to re-convert locations, problem wasn’t on convertor’s side), fixed long menus, free flight spawn in front of mountains, also menu now remembers previous cursor position. Tested. Looks like everything’s in order. Any specific test you want us to perform? No. That was helpful. I’ll work on the remaining features then. I was testing the Su-33 in combat and found out that the first released SAAM stops tracking its target if you release another SAAM to a different target, even though the first target is still within the guiding circle. If you release a SAAM, then switch to a different target and do not fire another SAAM, the missile tracks the new target instead of the old one, and it stops tracking any target when you release a second SAAM. If you switch to standard missile after firing SAAM, the released SAAM stops tracking the target, when you switch to SAAM again, it resumes its tracking as long as it’s still within range and the missile hasn’t disappeared. Normally in Ace Combat, when you switch to standard missile, the released SAAM continues tracking as if the guidance was still active as long as you point the aircraft (and an imaginary circle) to the target. Is everything okay? It’s been a month… I hope it’s not the worst possibility. Don’t worry. The project is ok. My schedule is not. I’ll continue when I’ll have time, as always. Man, I’m really glad to see an answer from you. I nearly gave up hope. 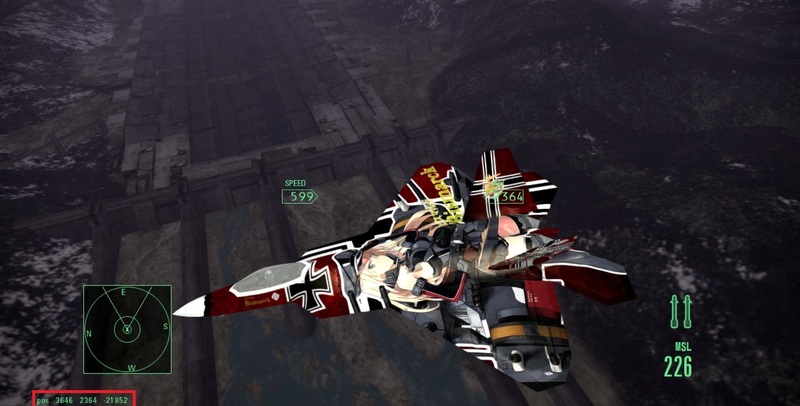 I was beginning to think the project has fallen into the same eternal-early-access pit as Vector Thrust. It’s good to know that nothing bad happened. 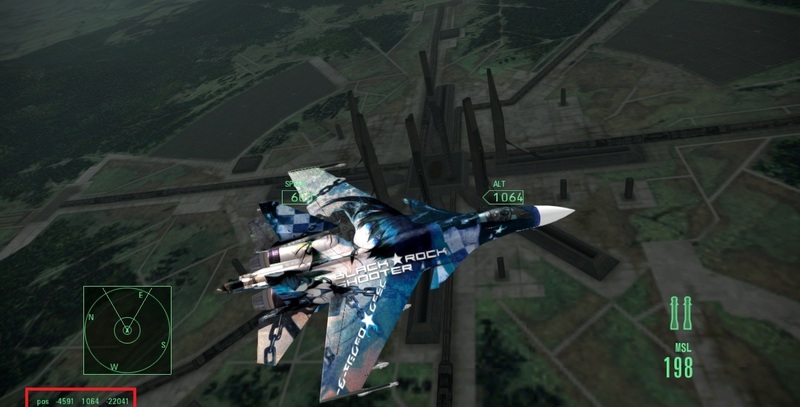 Hey I’m looking for a way to get Ace Combat 6 cutscene models, especially the su-33 in the “Admiration” scene. Is that something that will be done in the project? Is this project still dead? I can’t wait for a stable version to come out as I already planned a schedule to make a custom campaign for this mod.